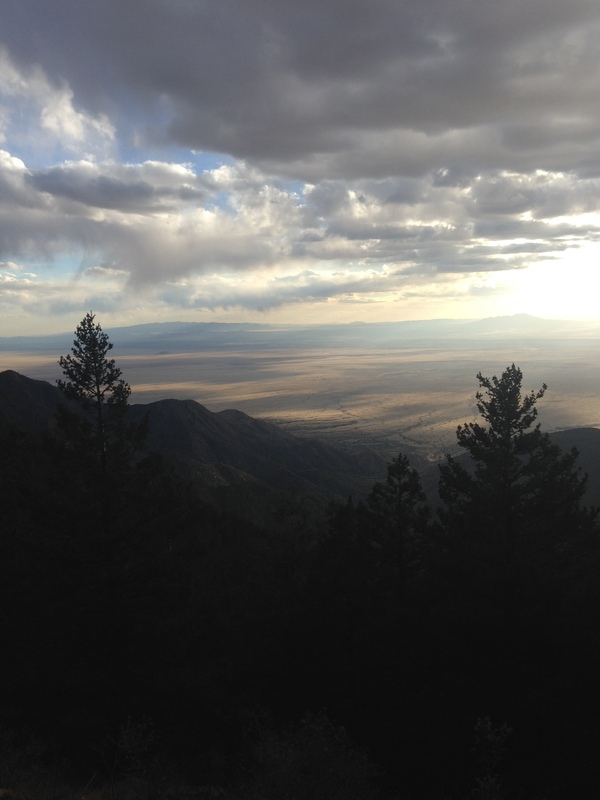 The world stretches out again, this time from the top of Manzano Peak, one of the trail’s last climbs. I sit on top and stare back at the route behind me, watching rainstorms slide across the desert. Grey sheets hang off the dark clouds. Light spills between them. The rain never lasts long enough to reach the ground, it fades and disappear in the dry air. I watch for a long time. It feels like I’ve been here before, sitting in the sky after a climbing from the desert floor. It’s the same story I’ve written over and over, from sky island to sky island, and it’s still beautiful. But I know the story will end soon. There’s only one more climb left, one last rise toward the sky. Maybe that’s why I sat and watched for so long today, watched the clouds slip across the earth, watched raindrops never reach the ground, watched with a bit of envy. Posted in Grand Enchantment TrailTagged GET, grand enchantmentBookmark the permalink. One never knows when one will return again. Savor each moment.